In 2017, as in years past, I took a lot of photos – 16,842, to be exact! For the first time, however, the number of photos I took actually decreased from the previous year. 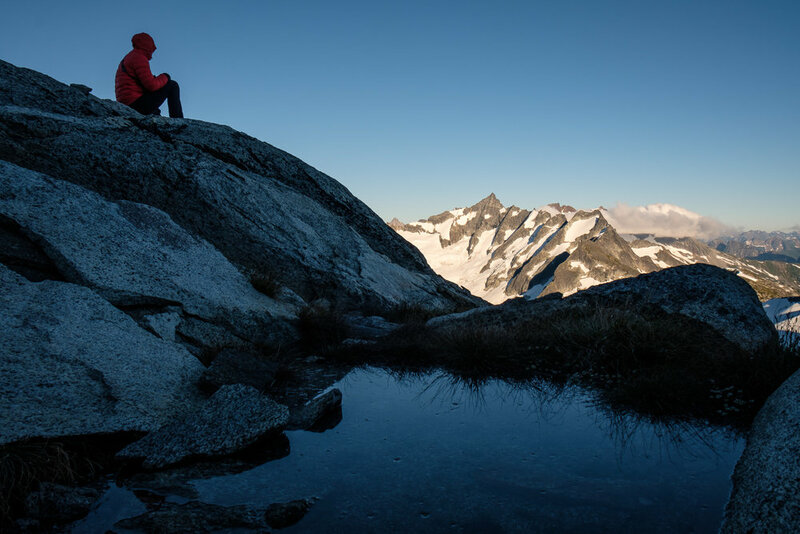 I visited and revisited many familiar and favorite spots: Lick Brook in Ithaca, Mounts Jo and St. Regis in the Adirondacks, Mount Shuksan in North Cascades National Park, to name a few. I also traveled to new and unfamiliar places, as well: first and foremost were my three weeks in Tanzania last July, but I also spent time in Colorado, the eastern Sierra Nevada, and the area around Mount Hood, in Oregon. Both the familiar and the novel provide gratifying opportunities for taking pictures. While the joy I get from exploring a beautiful spot for the first time can't be overstate, this year I found myself perhaps even more drawn to return to the same spots over and over, becoming more and more comfortable there. 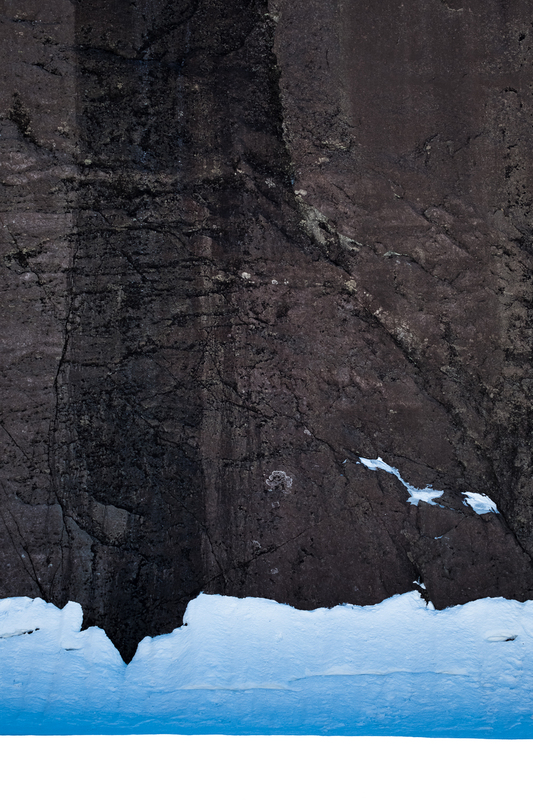 I think it's through this intimate connection with a particular landscape that my photography will continue to grow, and become more of a reflection of what draws me there, not merely a snapshot of superficial beauty. 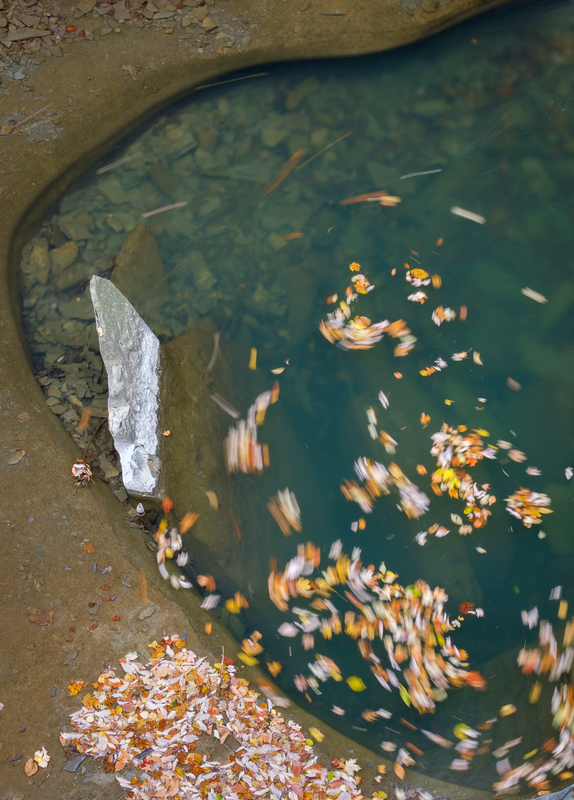 This drive for greater depth was something that emerged from my first formal photography class I've ever taken, and independent study with a professor in the art department back at Cornell, photographing the autumn scenery of upstate New York. While frequently frustrating, and often the source of giggling amongst friends (who can keep a straight face after being told to "imagine you've walked in on Mother Nature with her pants down"? ), I absolutely believe that the guidance I received from my professor at Cornell was valuable, in the end, and I'm looking forward to see what opportunities 2018 holds for me to further deepen the impact of my images. Here I've selected 30 or so images based on their diversity, how well they capture my year's worth of experiences, and of course, how much I like them. Right-click on a picture and select "open in new tab" to see it larger, read the caption if you're curious to learn where it was taken, and please don't hesitate to reach out with comments or questions – I always appreciate them. Lenticular clouds settling on the summit of Mount Baker are backlit at sunset, as seen from Shuksan Arm. Sunset on Mount Hood, from the middle of a frozen Trillium Lake, OR. 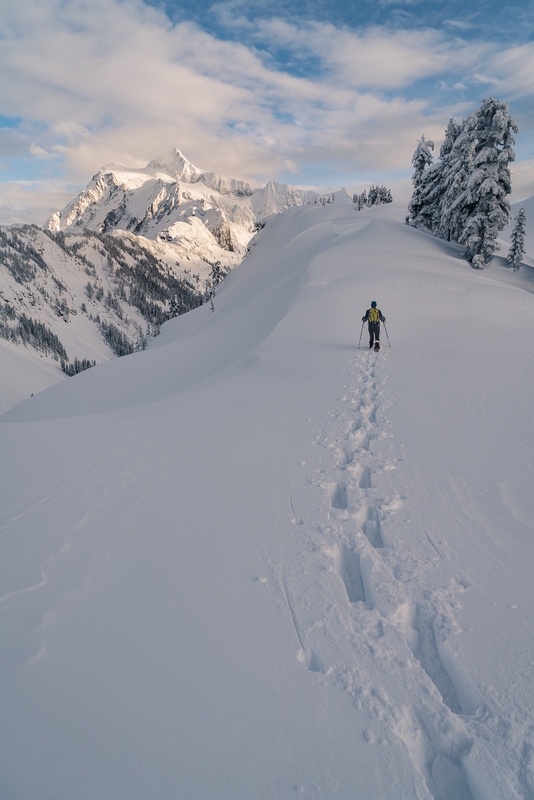 Becca snowshoes up the last hundred yards towards Huntoon Point, with a spectacular view of Mount Shuksan covered in snow. Meltwater streaks down the cliffs that surround Avalanche Lake, on a sunny but frigid February day in the Adirondacks, NY. 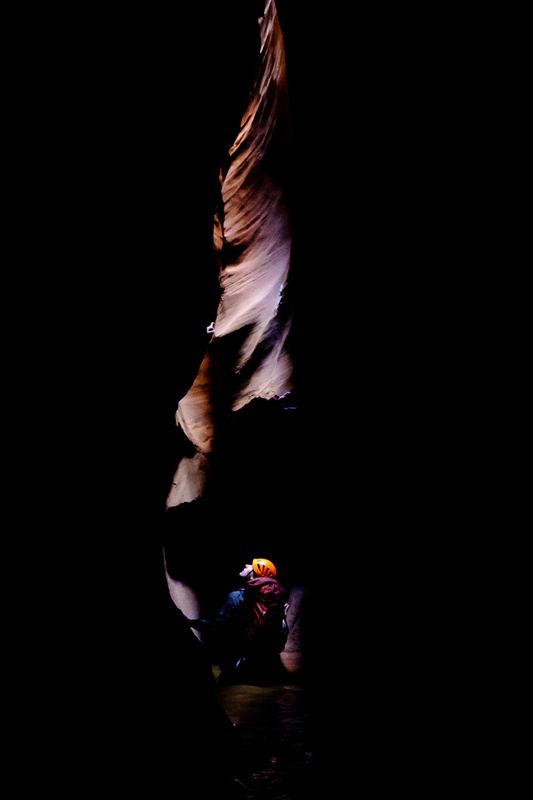 Becca looks up the fluted sandstone walls in the deoths of Ringtail Canyon, UT. Looking down on the Caineville Badlands, near Caineville, UT. Sunlight and shadows play on the eroded forms of the Cainville Badlands, in Utah. Stained slickrock at our first camp in Death Hollow, Utah. The gorgeous final narrows of Death Hollow, UT. First light on the summit of Mount Meru from the floor of the volcano's crater, Tanzania. The sun rises behind Mount Kilimanjaro, Tanzania. Morning light in Meru's crater, Tanzania. 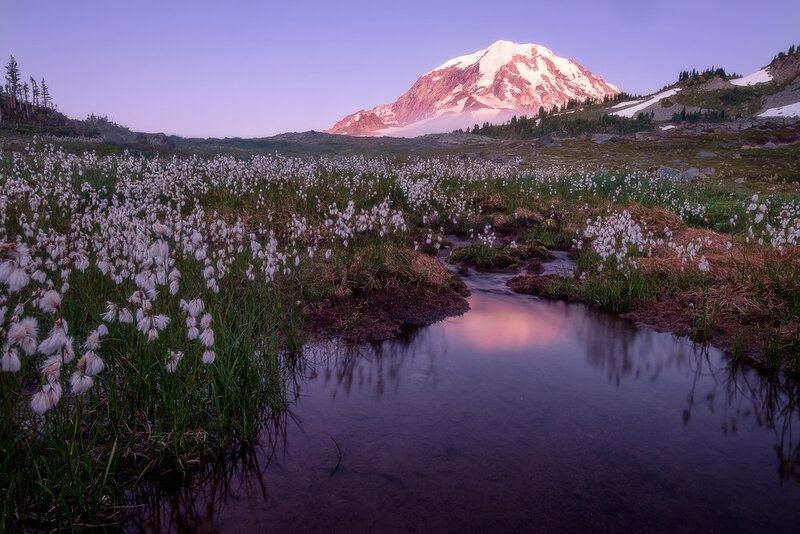 Cottongrass fills a meadow beneath Mount Rainier at sunset. 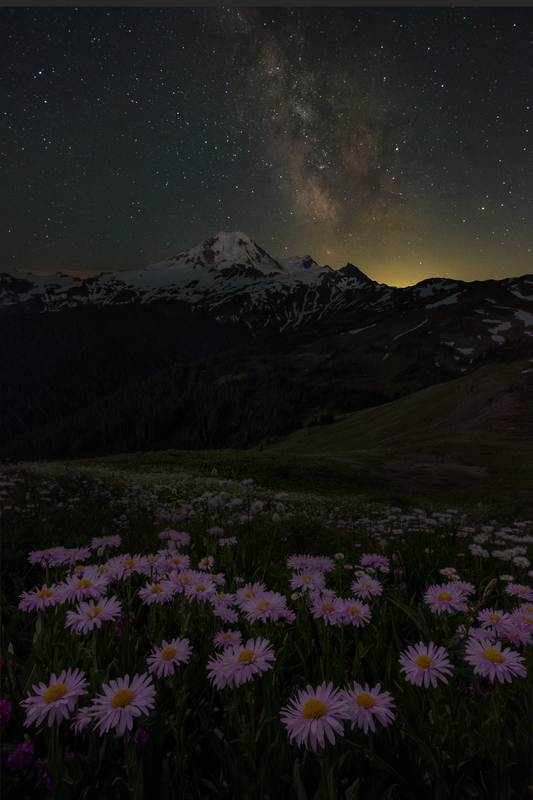 A composite image of asters beneath the summit of Mount Baker and the Milky Way. Enjoying the afternoon light on Torment and Forbidden from camp beneath the summit of Eldorado Peak, North Cascades National Park. Becca on one of the au cheval sections of the NW ridge of Dorado Needle, with Baker and Eldorado in the background. North Cascades National Park. Wildfire smoke makes for a incredible sunset on Mount Rainier from beneath the summit of Mount Fremont. The sun is setting directly above Sluiskin Mountain. A full-moon timelapse of the night sky above Tipsoo Lake, Mount Rainier, and Yakima Peak. Flowers above Logan Pass, Glacier National Park, MT. 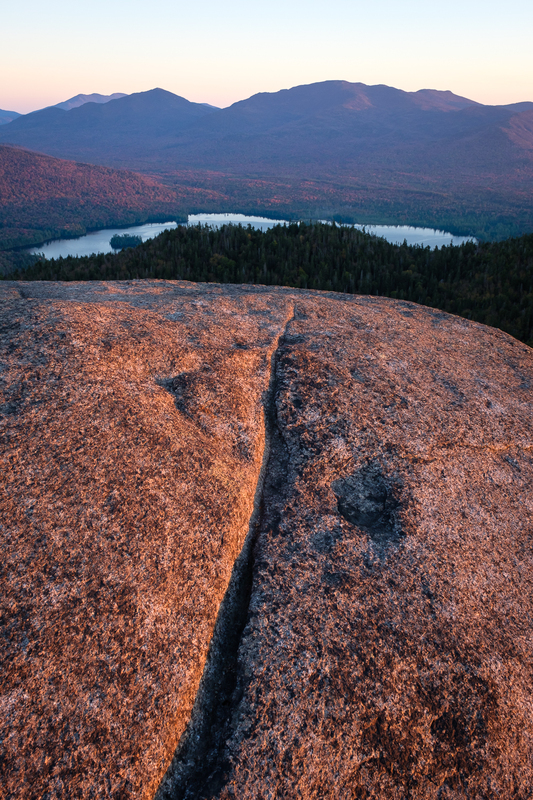 Sunrise on Saint Regis and Spitfire Lakes from the Saint Regis Mountain Lookout, Adirondack Park, NY. Sunrise at Connery Pond, NY. Ampersand Lake and Seward from the summit of Ampersand Mountain, in the Adirondack mountains, NY. Sunset on Ampersand, looking out over Middle Saranac Lake, NY. 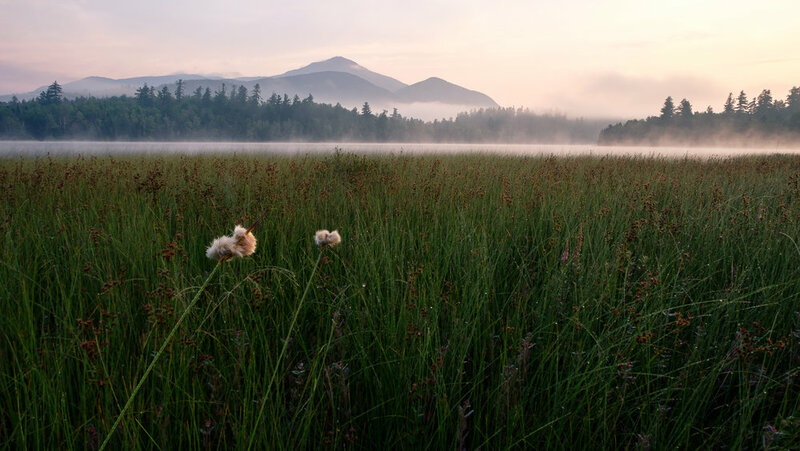 Sunsrise from Algonquin, looking out over Wright, Avalanche, Marcy, and Colden Peaks, Adirondack Park, NY. Fallen leaves swirl beneath the famous Cowsheds of Fillmore Glen State Park, near Moravia, NY. Fallen leaves are buffeted around a pothole in Watkins Glen State Park, NY. Water flows over a slab of exposed rock in one of the many gorges in the Finger Lakes region of New York State. 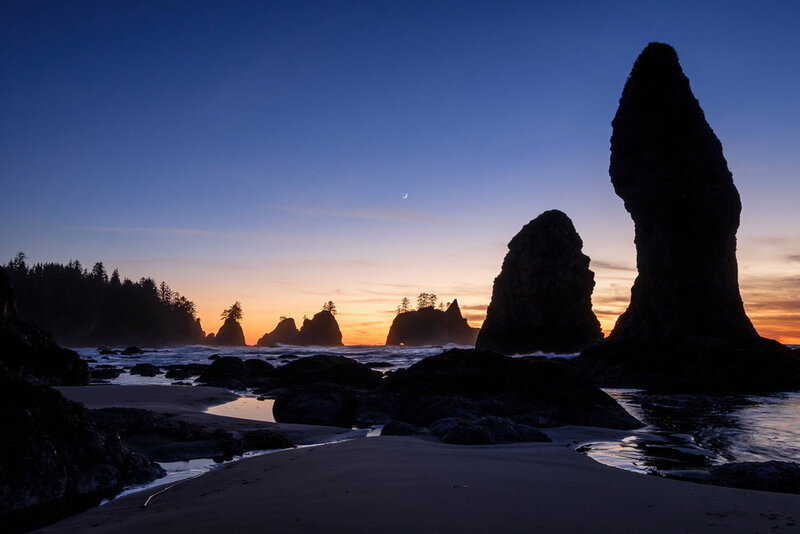 A crecent moon rises over seastacks at Point of the Arches, Olympic National Park, WA.